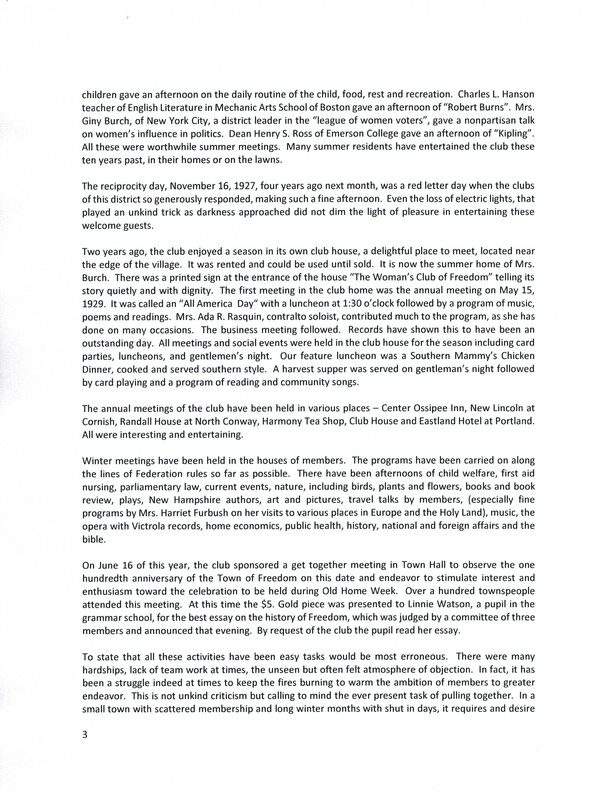 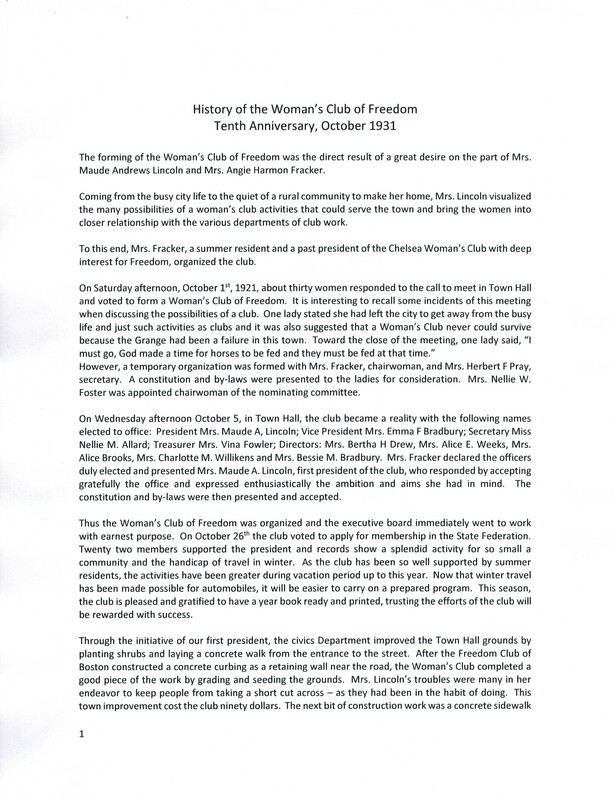 The History of the Woman’s Club of Freedom is transcribed from the 1931 document handwritten on letterhead stationery of the Harmony Tea House and Annex, Freedom, Village, New Hampshire, Ossipee Trail, White Mountain Gateway. 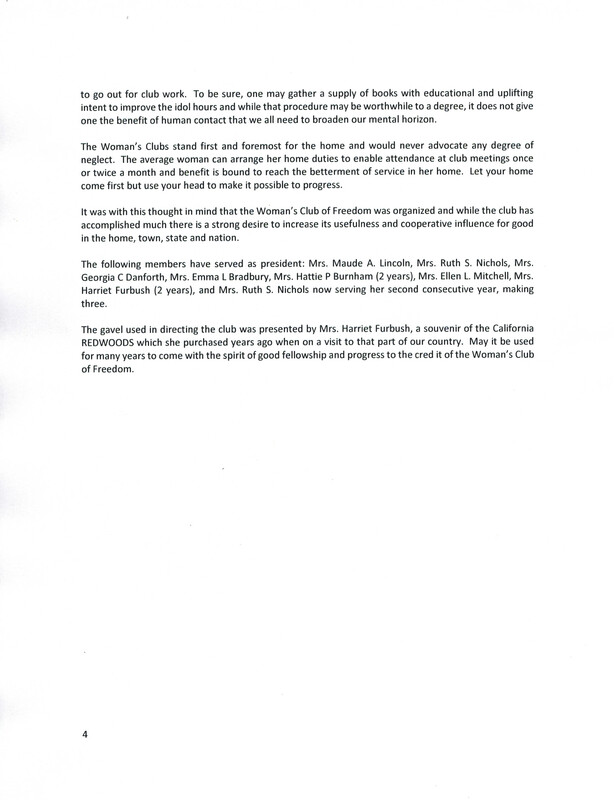 FHS speculates it was written by Mrs. Angie Harmon Fracker who owned the Tea House at that time. 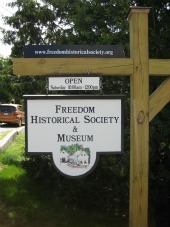 Thank you to Carolyn Fracker Clancy for donating this piece of Freedom History. 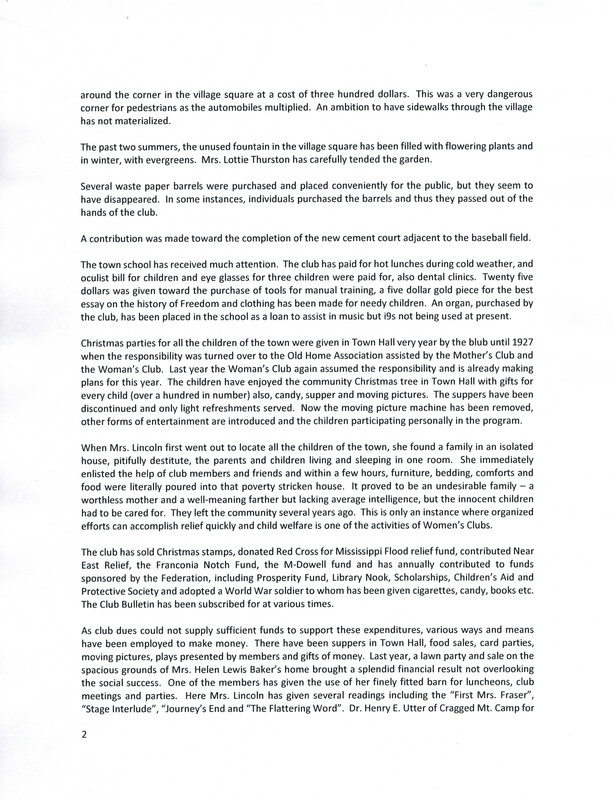 Click on each page to zoom in.